The Puzzle Buddy - The easy way to store unfinished puzzles! The Easy Way to Store Unfinished Puzzles! 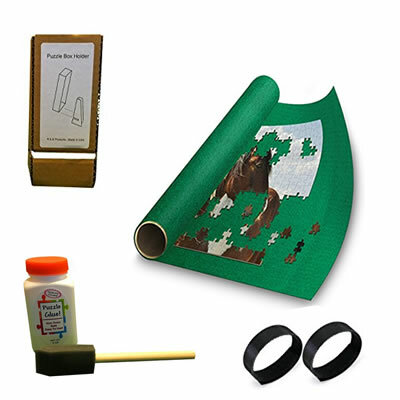 The Puzzle Buddy mats are made with a stretchable synthetic felt rather than wool felt you might find in a hobby store. 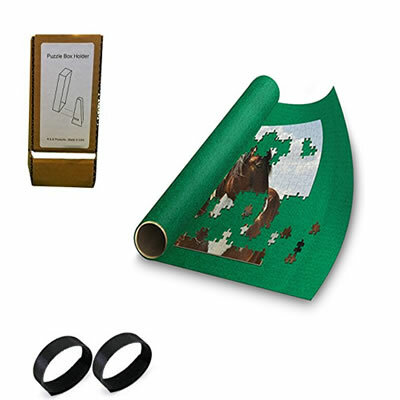 This provides a soft, yet durable base to hold and protect your puzzle pieces. 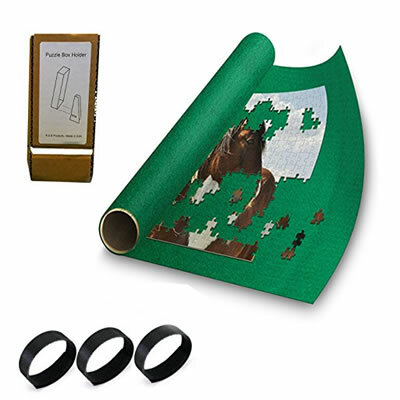 It may look like an ordinary cardboard tube, but The Puzzle Buddy roll-up tube is made of a very strong fiber-core material to prevent collapse. It is also sized large to allow for easier rolling and puzzle piece stability. 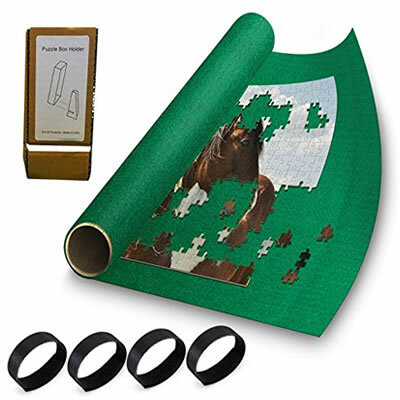 A 42" x 24" mat is suitable for puzzles up to 1500 pieces. A 54" x 35" mat suitable for puzzles up to 3000 pieces. A 72" x 48" mat suitable for puzzles up to 5000 pieces. Make your puzzle permanent by covering it with a layer of puzzle glue. Turn your puzzles into frame worthy art! For easy and even application of glue. 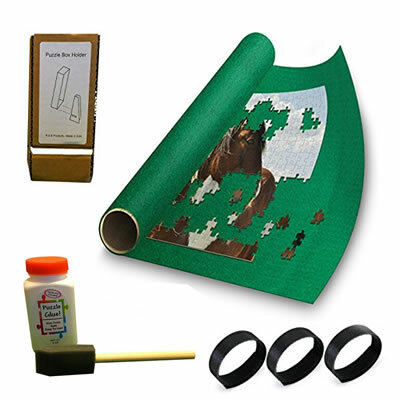 Puzzle Buddy kits are available in small and medium. Simply add to your Amazon shopping cart by clicking the button below your desired product. 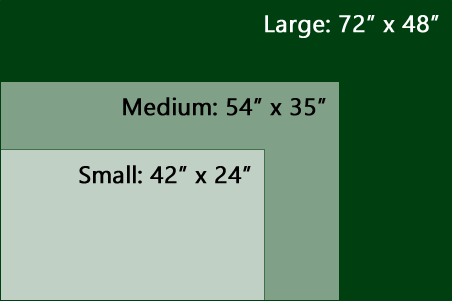 You can also visit our Amazon Storefront to add multiple sizes and quantities. Returns are accepted within 30 days of purchase on complete products in original (new) condition. 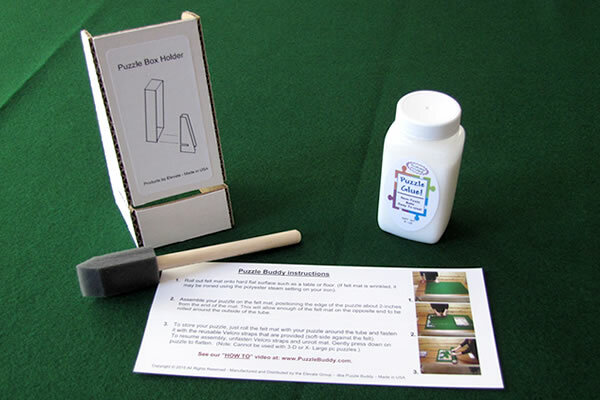 Send your product along with the packing slip back to Puzzle Buddy (address at bottom of page) for a full refund of your initial purchase minus a $3.00 re-stocking fee (per item). Return shipping costs will be your responsibility. Unopened merchandise in their original shipping cartons may be returned without charge by marking "Refused" on the carton given to your local carrier. If your returned merchandise is either incomplete or damaged during shipping, then a replacement charge of $7.00 will be assessed against your refund. All orders are shipped USPS Priority Mail. Please allow 2-4 days for Domestic USA Delivery. Express Mail (1-2 days) is optional during checkout. For larger orders we may choose to ship via UPS Ground at our discretion. Is the Puzzle Buddy available in retail stores? The Puzzle Buddy is only available online. Why can't I place my order by phone? Today's advanced internet security encryption has become in many cases more secure for credit card transactions than the telephone. Since we only sell one product, we've reduced our costs instead of raising prices by replacing phone ordering with email correspondence and online processing. What if I don't want to give my credit card over the internet? That's fine, simply continue through the ordering process until it asks you for a credit card number, then simply choose "check" as a payment option and we will receive your order electronically. You can then send your personal check to the address below. We will then hold your order for 3-business days allowing your check to clear before shipping your item. Yes! – We are now offering International Shipping. International shipping can be expensive and we will do the best we can for you. Please contact us at purchases@puzzlebuddy.com so we can accurately calculate shipping. Do I need a PayPal account to make my purchase? No. Once you begin to checkout, you will have the option to either log in to your existing PayPal account, or make your purchase using your credit card or checking account. How do I ship my purchase as a gift to someone else? Just change the "ship to" address during the checkout process. Your order will be shipped to that address without a packing slip.